This type of equipment seals the flaps of a carton with glue. The glue is usually placed on the inside of the open major flap or the top of the folded major flap. Hot melt glue is the most commonly used glue. Usually glue spots with glue application wheels, or hot melt glue systems with glue application nozzles, are used to apply the glue to the flaps of the carton. 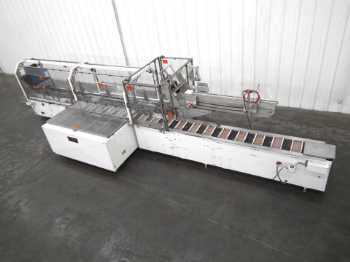 Products such as crackers use Glue Automatic Horizontal Cartoners.